Posted on February 28, 2019 by Smorgasbord – Variety is the Spice of Life. It is award season, and whilst I may not be wearing a fancy designer dress with sparkles and borrowed jewelry from Tiffany’s (or crippling Jimmy Choo Shoes! ), I have dabbed a little Chanel No 5 behind my ears and at the wrists. After all is not everyday you get nominated for a Sunshine Blogger Award. In this instance courtesy of author and poet, Mary Smith of Mary Smith’s Place to whom I am most grateful…. Before I embarrass myself answering Mary’s questions on my personal life…. here are the rules. 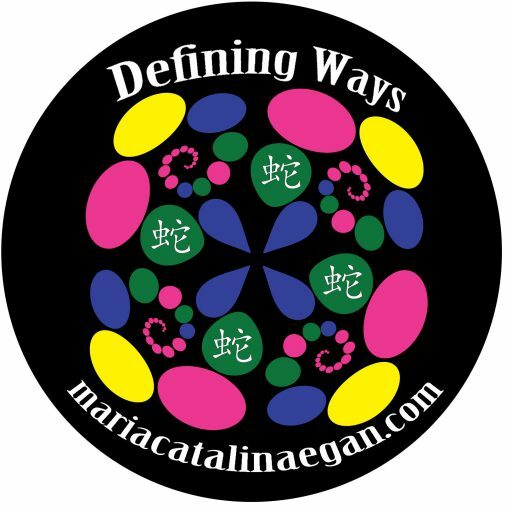 via Smorgasbord Blog Magazine – The Sunshine Blogger #Award and personal questions. Smorgasbord Blog Magazine – The Sunshine Blogger #Award and personal questions. Delighted to welcome a new guest writer to the blog. Sarah Calfee is an editor specialising in Romance novels. In her first post, she is demystifying the various elements of book editing, so that you can select the service that is most beneficial to you and your book. Lauren is just like any other college student trying to juggle school and a social life. While being bombarded by dead spirits vying for her time and attention. And being stalked by hot werelocks with supernatural powers who keep showing up around campus. It wouldn’t be so bad if the battleground wasn’t Lauren’s mind. And if werelocks weren’t constantly erasing and altering her memories in order to hide their time in her head from their rivals. But Lauren is no ordinary college student. 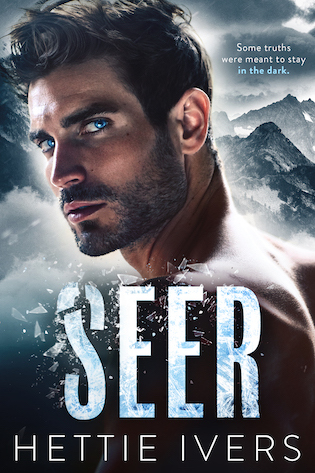 She’s the seer the supernatural world has been waiting for. As word spreads of her existence, powerful forces will hunt her. And a century-long celibate werelock will risk unleashing the darkness he spent four centuries suppressing in order to claim her. 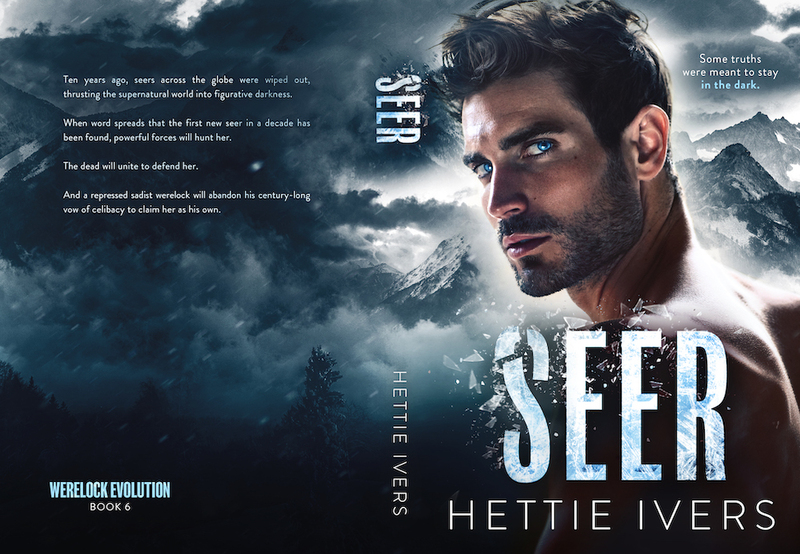 Hettie Ivers is an accidental romance author who likes to escape the stress of her workweek with a good dirty book–preferably one that’s also funny. Auras and other Metaphysical choices in writing. I have friends who see auras, although I do not myself. I spent many hours researching the occult, listening to hypnotists, mediums, Reiki masters, and many others in preparation for my novels. The reason why this all works well with The Master of Perceptions is the basic premise that Hunter perceives things differently that everyone else. There are only really three “senses” from a strict perspective. Electromagnetic, tactile (which includes vibration, the actual definition of temperature) and chemical. All perceptions are the brain’s interpretation of these sensed inputs. We all say “five senses” because Aristotle did many years ago. He was just plain wrong. An individual’s perceptions are much more numerous. Sight (light is part of the electromagnetic spectrum), sound (vibration of the tympanic membrane in the ear transduced), smell (chemical), taste (combines chemical and tactile) and feel (tactile) are simply the most common, thanks to a dead Greek thinker. Consider others like proprioception (the location of your body in space), direction, equilibrium (balance), attraction, acceleration, moisture, agency (sense of having made a decision) familiarity (recognition) anticipation, or social awareness. These are all truly unique to the brain of the person doing to perceiving, and therefore cannot truly be understood by anyone else. After all, there is no actual “light” or “sound” in your brain, only your individual perception of these stimuli. Who knows for sure if what actually exists in the world matches what each of us perceives? My son is color blind and can’t tell red from green. My mother cannot smell much of anything (which is why she was such a terrible cook). There are hundreds of similar examples. If all perceptions are unique, what about auras? Maybe they give the perceiver unique perspective that others simply do not have. Might there also be ability to speak with the dead, or manipulate conscious thoughts, or anything else you might be able to imagine? Why not? Hunter, as The Master of Perceptions, will gain control over many of these areas. His unique ability will hopefully give readers insights into their own potential. 5.0 out of 5 stars Master of Perception Series ramps up! Like Rowling’s Harry Potter, young Hunter is gaining maturity and skill in each new book of the “Master of Perceptions” series. The reader shares his increasing grasp of the unique ability to see people’s auras and manipulate them, and in Book 2 Hunter has a mission. He must deal with the very adult issue of domestic abuse. The perpetrator is a policeman, and his victim is a teacher at Hunter’s school. 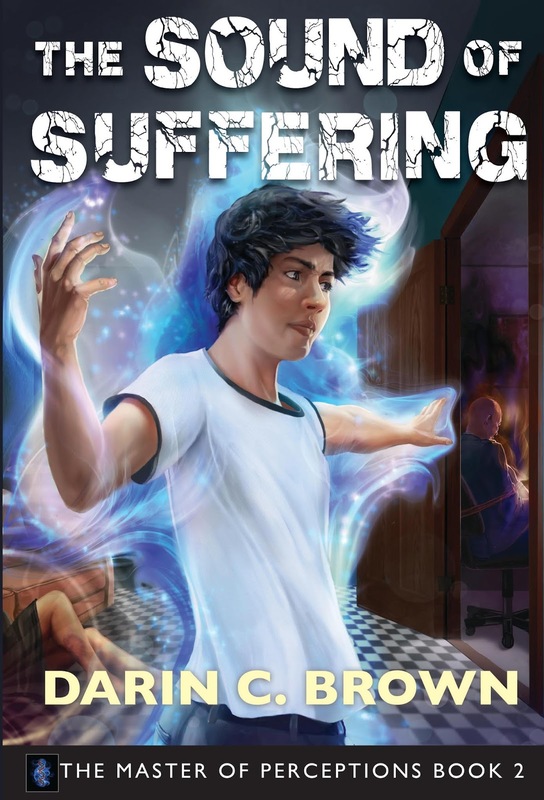 He can hear her aura screaming for help, but what can a sixth grader do against an officer of the law? Dr. Darin Brown expertly builds the tension and leads us to understand this autistic young man’s unique perspective. Imagine the power of seeing people’s feelings and thoughts in their auras and also being able to manipulate the colors to affect their behavior. Hunter can already heal himself, but this skill comes at a price. It drains his energy, which can send him into the Void, if he is doesn’t keep up his carbs and sugar. 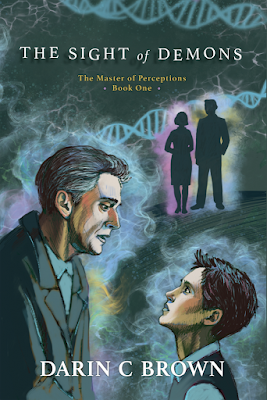 Believable – though fantastic – and engaging, I highly recommend the “Master of Perception” Series. When a homeless war veteran is beaten to death by the police, stormy protests ensue, engulfing a small New Jersey town. Soon after, three cops are gunned down. A multi-state manhunt is underway for a cop killer on the loose. And Dr. Tessa Thorpe, a veteran’s counselor, is caught up in the chase. Donald Darfield, an African-American Iraqi war vet, war-time buddy of the beaten man, and one of Tessa’s patients, is holed up in a mountain cabin. Tessa, acting on instinct, sets off to find him, but the swarm of law enforcement officers get there first, leading to Darfield’s dramatic capture. Now, the only people separating him from the lethal needle of state justice are Tessa and ageing blind lawyer, Nathaniel Bodine. Can they untangle the web tightening around Darfield in time, when the press and the justice system are baying for revenge? 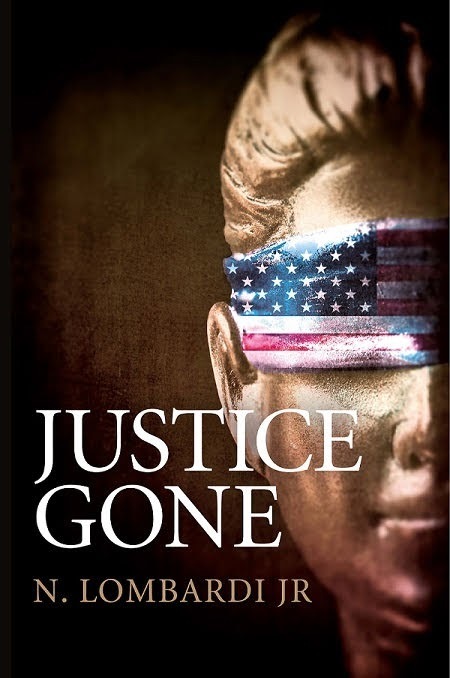 Justice Gone is the first in a series of psychological thrillers involving Dr Tessa Thorpe, wrapped in the divisive issues of modern American society including police brutality and disenfranchised returning war veterans. The US justice system – does it work? who may very well be innocent of the charges. using excessive force are rare. can play an unwelcome part. justice system, from jury selection to the jury’s verdict. it took the jury only four hours to acquit. i.e. did they acquit Simpson solely due to he being the same race as they? it upheld the concept of reasonable doubt. on death row (this was in Oklahoma, where the death penalty still exists). Fortunately, these men were exonerated before they could be put to death. US, justice is in the hands of ordinary citizens. 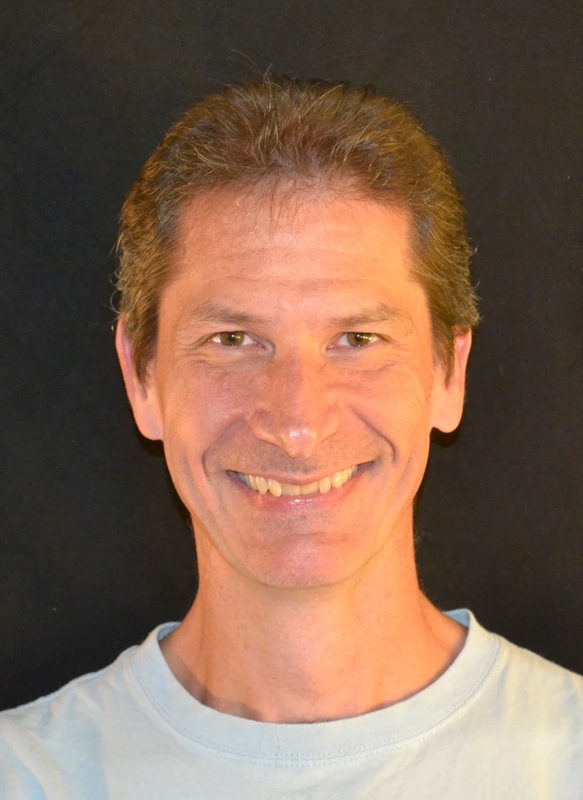 Nick maintains a website with content that spans most aspects of the novel: The Secret War, Laotian culture, Buddhism etc.